NOVA provides consulting to non-for-profit organizations and NGOs and assists activists develop their individual social responsibility. NOVA’s management consulting services is made up of volunteers, including B-Pro, who mentor various ventures by building infrastructures that improve and sustain social services giving a lasting impact on Israel’s society. The Noga Legal Center for Victims of Crime offers legal advice and representation to victims of serious crimes. 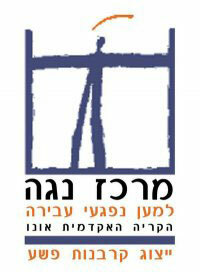 The first center of its kind in Israel, Noga aims to raise awareness of the needs of the victims in Israel. B-Pro voluntarily supports Noga’s crm systems. Founded in 1981 by parents and children with diabetes, The Juvenile Diabetes Research Foundation of Israel is a branch of the International Juvenile Diabetes Research Foundation (JDRF) with its center in the United States. JDRF supports the funding of international research for finding a cure for diabetes, more than any other health organization in the world, is also involved in the welfare of diabetics and their families, and in raising public awareness of the disease and its effects. JDRF is able to realize its goals through the many contributions from charitable organizations, foundations, contributions from businesses, individual contributions, the volunteer work of parents and children with diabetes and special events. B-Pro actively volunteers at events.